Australia, 06 July 2017: Secure payments data platform EFTsure today announced Series A funding of $2 million from Australian venture capital firm, Our Innovation Fund, LP (OIF), founded by Geoff Levy AO, David Shein and Jerry Stesel. The fast growing fintech is helping enterprises tackle the annual $700 million cost of payment fraud in Australia with recent client wins including ASX200 businesses, councils, schools, SMEs and not-for-profits. The funding injection will be used to scale the business and to address new initiatives such as the rollout of the New Payments Platform (NPP) in October 2017. 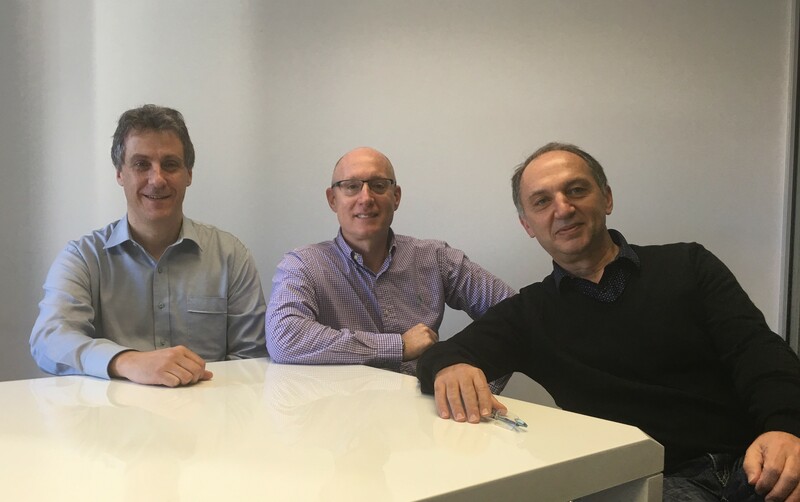 Established in 2014 and founded by a team of banking technology and finance professionals Ian Mirels, Mike Kontorovich and Mark Chazan, EFTsure provides a specialised software solution to enterprises, validating the integrity of their payment data and ensuring the name of the payee matches the BSB and account number prior to making a payment. Ian Mirels said the risk of payment fraud is high in Australia with many finance officers unaware that Australian banks don’t match payee names with account numbers when payments are processed – leaving enterprises vulnerable to fraud and error from internal and external threats. “Payments fraud is a growing area of cyber crime in Australia, with fast payment methods significantly increasing the risk of fraudulent activity. It’s critical to ensure a focus on both fast and secure payments as the new NPP platform is introduced”, Mr Mirels said. “We understand the average cost of a cybercrime attack to an Australian business is in the order of $276,000. As a current and former director of several ASX companies, having EFTsure’s payment protection in place – especially in the challenging environment of increasing internal and external payment fraud risk – gives me more comfort. EFTsure is a necessary tool in a company’s toolbox in the fight against cybercrime”, Mr Levy said. EFTsure’s unique cloud-based, ‘crowd-sourced’ supplier database provides real-time matching of payee names to bank account numbers at the point of payment. Additional compliance checks for ABN, GST status and numerous other alerts provide a best practice ‘Know Your Payee’ solution for businesses of all sizes. EFTsure has begun signing up specialist partners to extend and accelerate its market reach. EFTsure is dedicated to helping organisations identify and protect themselves against risk and error that occur in the payment process. Our Best Practice Know Your Payee solutions provide real-time alerts and messaging against broad and accurate payee relationship data. We also assist businesses with verifying supplier data, streamlining their supplier onboarding process and ensuring payee compliance. EFTsure’s Know Your Payee (KYP) crowd sourced, cloud based, independently verified database of payee information delivers unprecedented insight into your external payee relationships built on the principle that if the depth and accuracy of your payee data is maintained then your organization is better informed and is capable of protecting itself against fraud, error and non compliance as well as ensuring Best Practice payee relationship management. Our Innovation Fund (OIF) is an Australian based venture capital firm that is focussed on partnering with exceptional entrepreneurs building world-class innovative and scalable early stage technology businesses. With $50 million under management OIF is building a portfolio of up to 20 investments. OIF invests in early stage businesses with innovative, high growth or disruptive technologies or business models with demonstrated market demand. The firm’s Founders, Geoff Levy AO, David Shein and Jerry Stesel, its Partners, Investment Committee members and Investors are made up of some Australia’s leading entrepreneurs and business builders. The team has significant investment, funds management, operational, and strategic experience across multiple companies, sectors, stages of development and geographies. OIF is sector agnostic and invests at the seed stage ($250k – $1m) through to Series A ($2m – $5m) where a product/market fit has been proven. The team at OIF has a long track record and the privilege of partnering with some of Australia’s leading entrepreneurs. In addition to EFTsure, OIF has invested in Instaclustr, Enboarder, Recomazing, Assignar, Stream Lending and Advanced Navigation. OIF also co-invests with other leading domestic and offshore VCs and strategic investors.